File MS-1-Ref, Box 15, Folder 17 - African studies: is there a future at Dalhousie? 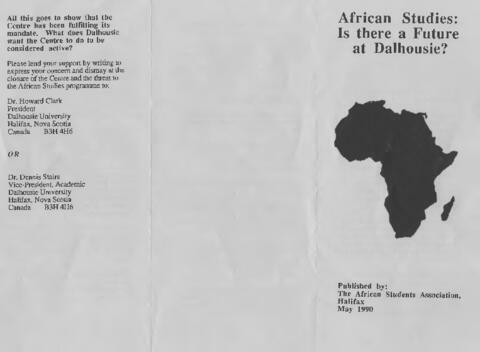 African studies: is there a future at Dalhousie? African Students Association pamphlet protesting the proposed closure of African Studies Centre.